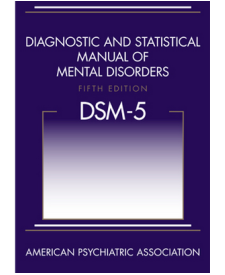 Prior to the release of DSM-5 in 2013, I referred at times to the pocket copy of DSM IV parked in my office bookcase. The main reason was to enter the right diagnostic codes on insurance forms. I also sometimes quoted DSM criteria to show a patient that ADHD can’t arise in adulthood, that daily mood swings are not characteristic of bipolar disorder, or that six months of sobriety is still “early” remission. In other words, aside from fulfilling the documentation needs of third parties, I occasionally used DSM IV to disabuse a patient of a faulty self-diagnosis, and even more occasionally to ratify my own assessment in the eyes of my patient. Rarely if ever did I consult the handbook to make a diagnosis. By the time I reached for it, I already had a handle on what was going on. DSM IV diagnostic codes were a subset of ICD-9-CM, a catalog by the World Health Organization of all diagnoses in medicine. DSM-5 uses these codes as well, but also provides the newer ICD-10 codes now required for virtually all insurance claims and similar documentation. While I could look up the ICD-10 codes I need in DSM-5, I haven’t bothered to buy a copy for the past three years. That’s right: I don’t own DSM-5. Instead I check a plain list of psychiatrically relevant ICD-10 codes and use the one for the diagnosis I have in mind. For three years I haven’t felt the need to consult DSM-5 to make a diagnosis, nor even to score rhetorical points with patients (which was never a very good reason to begin with). I’m aware of the major changes in the new edition. I realize multi-axial diagnosis is obsolete and that many diagnoses were tweaked. ADHD can appear by age 12 now, substance abuse and dependence have collapsed into substance use disorders, autism is now a spectrum, and the controversial bereavement exclusion no longer exists. None of this makes a bit of difference in my daily work with patients. One reason it doesn’t is that traditional dynamic psychotherapy has little use for diagnosis. The former highlights each patient’s uniqueness, while the latter lumps patients into groups. I can’t recall a single instance when I, or anyone I know, altered a psychodynamic therapy based not on the patient’s defensive style, relatedness, or stated goals, but on whether the patient met DSM criteria for a specific disorder. Within the confines of this form of therapy, DSM diagnosis doesn’t affect treatment. So let’s concede that dynamic psychotherapy is a special case and focus instead on treating the major disorders we used to call “Axis I.” In this medical-model, usually pharmacologic realm, accurate diagnosis obviously guides treatment. Here, at least, the DSM remains the indispensable “bible” or gold standard of psychiatric diagnosis, yes? And by not owning one, I must be navigating without a compass? Well, no, not really. DSM III was useful to me in training, just as the newer fourth and fifth editions undoubtedly help more recent trainees. These manuals help beginners learn the jargon, the checklist criteria that officially define a disorder, the recognized variants and qualifiers. Diagnostic criteria help students and early-career professionals build internalized prototypes or templates of mental disorders that go well beyond a layperson’s vague impressions. We learn that (major) depression is more than sadness: it has a minimum duration and associated neurovegetative signs. We learn that bipolar disorder describes abnormal moods sustained over weeks or months, not moods that shift over an hour or a day. We learn that panic and anxiety aren’t the same thing, and that obsessive compulsive disorder is more than a personality style. But this is just a starting point. After seeing many patients, our diagnostic prototypes take on lives of their own. We gradually form our own mental models of common diagnoses, views that may differ from the DSM. We decide the published criteria for a particular diagnosis are too wide or too narrow. Certain features compel us to call someone clinically depressed even though he doesn’t quite meet criteria. A patient who meets DSM criteria for schizophrenia strikes us as atypical, prompting diagnostic doubts and a more extensive medical work-up. A patient with generalized anxiety disorder has unmistakable thematic triggers, unlike other GAD patients who do not. For these and a thousand other reasons, we deviate from strict adherence to DSM categories. We make exceptions. We season our assessments with clinical experience. A DSM based on expert consensus — as opposed to something more empirical, like a reproducible test — invites debate. In the end, we privilege the nosology of our own experience over the official manual that approximates it. DSM stands for “Diagnostic and Statistical Manual.” The use of criterion-based diagnosis since the arrival of DSM III in 1980 improved inter-rater reliability. Since then, clinicians around the world largely agree whether a particular patient “meets DSM criteria.” This has been a boon for research, where homogeneity of study groups is crucial. It says nothing, however, about validity, i.e., whether DSM categories accurately reflect how the real world is organized. This thorny issue brought the American Psychiatric Association (APA) and the National Institute of Mental Health (NIMH) into conflict a couple years ago, when the NIMH announced it would replace DSM diagnostic categories in its research with finer-grained, more elemental categories. The validity concern arises regularly in practice as well, whenever a clinician feels not all major depressive disorder is the same or should be treated that way, or that the DSM strikes the wrong balance in defining post traumatic stress disorder. What, then, is the true utility of the DSM? It establishes a common language for professional communication and research. It offers the untrained and clinically inexperienced a starting point that approximates the clinical reasoning of experts who pick up on nuances missing from the DSM — and who, it must be said, sometimes disagree among themselves. It gives the popular press something to write about. It allows corporate MBAs to learn its terms and thus become “part of the health care team.” It serves as a glorified compendium of insurance codes. For patients, psychiatry’s “diagnostic bible” can reassure, threaten, challenge, or support. For psychiatrists, it can ratify or legitimize our assessments and opinions. However, for clinicians with significant real-world experience, one thing the DSM doesn’t do is aid clinical practice. 2 comments to Is the DSM clinically useful? What do you mean by a “patient’s defensive style”? We each have our own style of dealing with emotional stress. Even without specialized training, most of us describe others this way: “He puts on a brave face” or “she changes the subject when something awkward comes up” or “he talks louder when he feels attacked.” Most of what we call a person’s personality is his or her characteristic way of handling stress. Traditionally in psychotherapy these ways of handling stress are called “defenses”, although the more positive term “coping skills” is almost the same thing. A patient’s (or anyone’s) defensive style is thus a particular way of referring to personality, with an emphasis on those aspects of personality that sometimes can be changed or improved with psychotherapy. Thanks for asking.